We live in a world where smartphones are dominant. The world of photography has evolved drastically, thanks to the amazing cameras of smartphones. 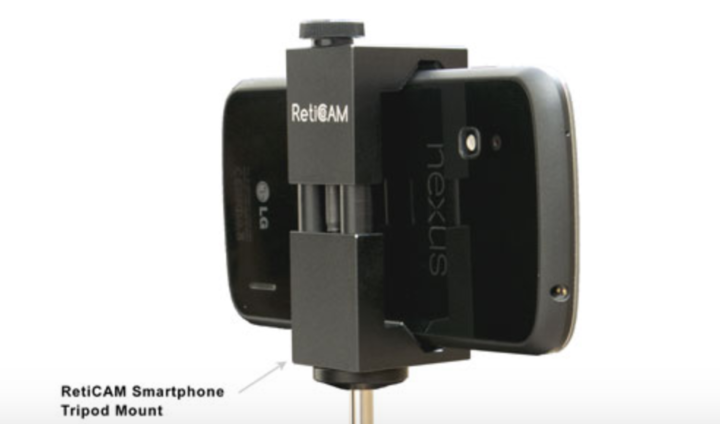 To make optimum use of your smartphone camera, you must have a mount. 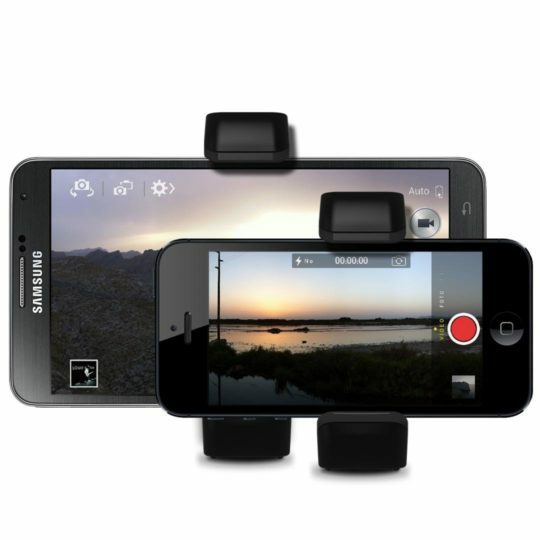 A mount will provide stability as well as agility for your smartphone camera and this will help you capture the best photos. There are several mounts out there in the market, in this article we will talk about the best ones. This mount is a full 33” long. This length makes it convenient for the mount to be moved around with ease. The Bluetooth shutter release makes taking photos very convenient. You won’t have to worry about dropping your phone. It has a tripod mount, which fits with any 1/4 x 20 camera screw. Once set up, your smartphone can be maneuvered in several ways. This will ensure that your smartphone is held in the best position and that its safety is ensured. You should know that the tripods aren’t normally included in this kit. It also has a spring grip which ensures phones up to 3” width can be placed. ALZO is a well-known name for its quality. The build on this mount is truly amazing. You can be sure of both its durability and stability. It is very lightweight- only 1.9 pounds. This makes it easy to carry around. If you are looking for a fancy mount, then this will surely please you. Neewer has created a mount that not only delivers in terms of quality but also aesthetics. It is suitable for any phone with a width of 2-3.6”. That covers most phones. This mount is suitable for photographers that travel a lot with their smartphone. The mount stands on its own- so no extra accessory is needed. A cold shoe mount is provided with it. 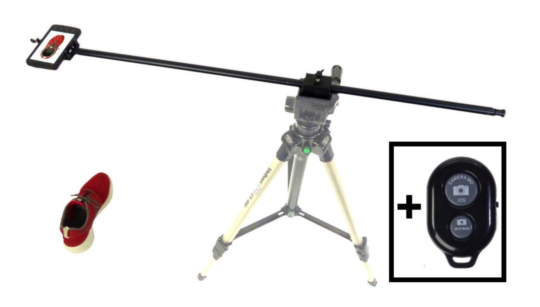 This makes sure you can attach it to almost any tripods. You’ll be glad to know that a wrist band is also provided. This ensures increased safety for your phone. A soft rubber pad helps prevent any scratches and scuffs on your phone’s body. The mount is made from aluminum and plastic, both of which ensure increased durability. Also, it weighs only 163 g, so handling it is pretty easy. It comes with a reasonable price tag of 11.99 USD. 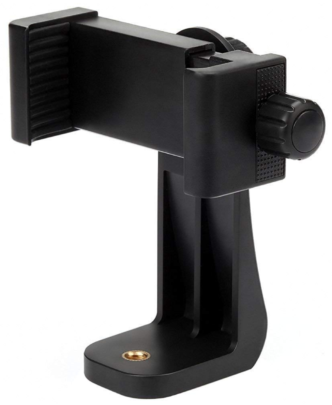 This is another great mount that comes with a built-in hand grip. This hand grip is an excellent feature. It makes sure you have increased control over your phone when it’s on the mount. Durability is ensured with a full metal build. This means it is without a doubt one of the most durable tripod mounts out there. The steel bolt locking mechanism means your phone is highly unlikely to fall off the mount, a problem that you’d face with less durable products. Appearance wise, the red stripe and the metal body gives it a very cool look. The hand grip also has a rubber grip over it, increasing the ease of handling. Phones up to 3.6” can be used on this mount. The price might be a bit high at $29.99 but it’s justified, given the extra functionality. This mount is suited for the ambitious photographer. 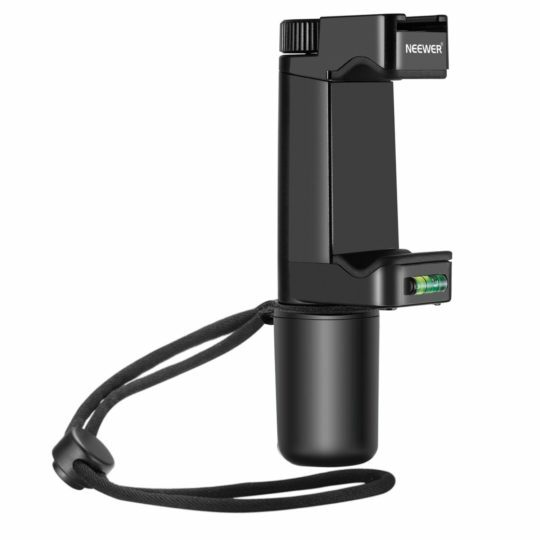 It’s a multi-function tool, it can be used as a tripod mount, film-maker grip, ETC. This mount is very sturdy while also being lightweight at the same time. The manufacturers assure us that almost any smartphone is compatible with it. The rubber pads on the mount provide enhanced safety. For the asking price of 39.99 USD, this mount is definitely worth looking in to. Vastar is well-known name in the smartphone accessory industry. Their mount is top notch. Its sleek design and enhanced durability makes it stand out. The phone holder can be rotated 360 degrees so this allows photos to be taken in a variety of ways. There are multiple mounting positions as well for enhanced ease of use when trying to get that perfect angle. It has a competitive price of 7.99 USD, which makes it definitely worth looking in to.